Mastercard is stepping up their game by adding new benefits to their World and World Elite cards. Standard Mastercard - includes benefits like price protection and extended warranty, but doesn’t include any travel benefits. World Mastercard - includes all the Standard benefits, plus access to travel services, World Luxury Hotels & Resorts, and concierge services. World Elite Mastercard - includes Standard and World benefits, plus exclusive World Elite travel programs like car rental, private jet, golf, air, and cruise programs. No new benefits are being added to the Standard Mastercard. Effective immediately, World and World Elite Mastercard holders can enjoy the new partner benefits. 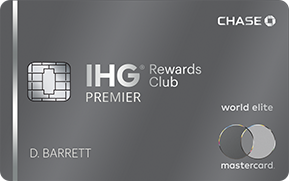 Some new benefits are available exclusively to World Elite cards only, and some are available to both World and World Elite members. Starting on July 1, World and World Elite Mastercard holders will also receive enhanced ID theft identification and resolution solutions, as well as cell phone insurance. See the full press release here. 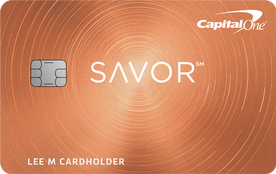 In addition to existing World Elite Mastercard benefits, a handful of new ones will be added. Lyft: World Elite cardholders will receive a $10 credit for every five rides taken in a calendar month. The $10 credit will automatically be applied to the next ride, and it’s capped at once per month. Fandango: Earn double Fandango VIP+ points for the movie tickets purchased on Fandango using the World Elite card. Cardholders will receive 500 Fandango VIP+ points (worth $5) for every two movie tickets they purchase via the Fandango app or Fandango.com. Boxed: Earn 5% cash rewards on Boxed purchases, which can be used towards future purchases on Boxed.